Calling all young farmers, organic gardeners, new agrarians, local food lovers, permaculturalists, foodies, homesteaders, friends, and neighbors in the Lynchburg region. 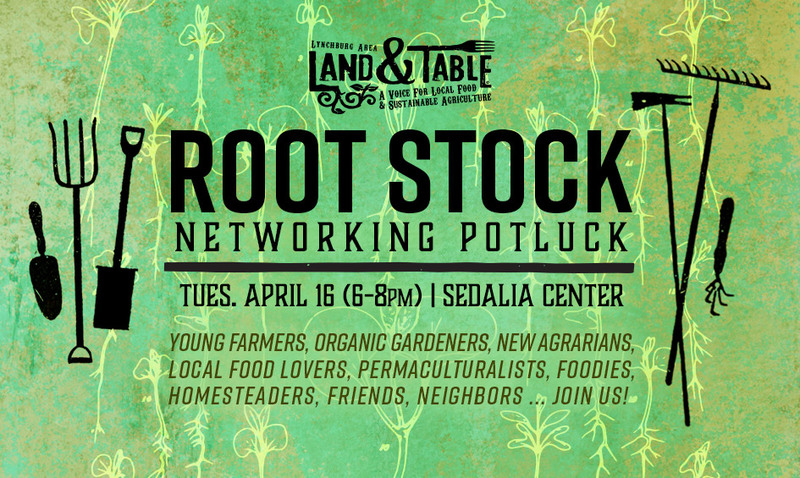 Join us Tuesday, April 16 (6-8pm) for a potluck at the Sedalia Center in northern Bedford County. This is a great opportunity for networking, community building, and connecting with others in the local food and back-to-land movement. Bring a friend, a healthy dish to share, and your own dishware. Latecomers welcome. This is a family friendly event but children must be supervised. Please RSVP. Let Us Know You’re Coming!